Arranged in a gorgeous zinc pot, you will receive a potted Kalanchoe and other spring plants to create the perfect balance. 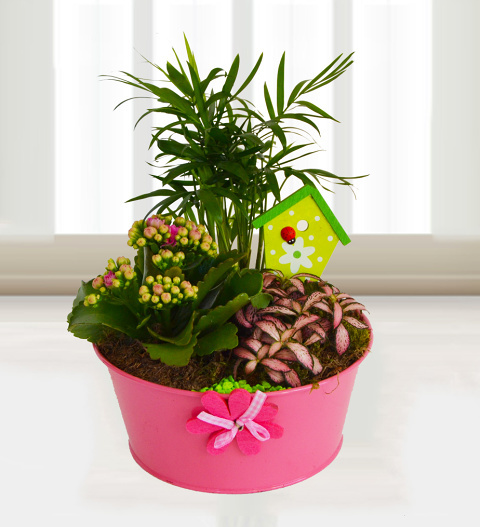 With a variety of textures and colours, this collection of potted plants will look great anywhere. Send this pot for a birthday, house-warming, engagement, congratulations, or any other occasion. Available for UK next day delivery, you can be sure that it will always be well-received. Chocolates may contain nuts.